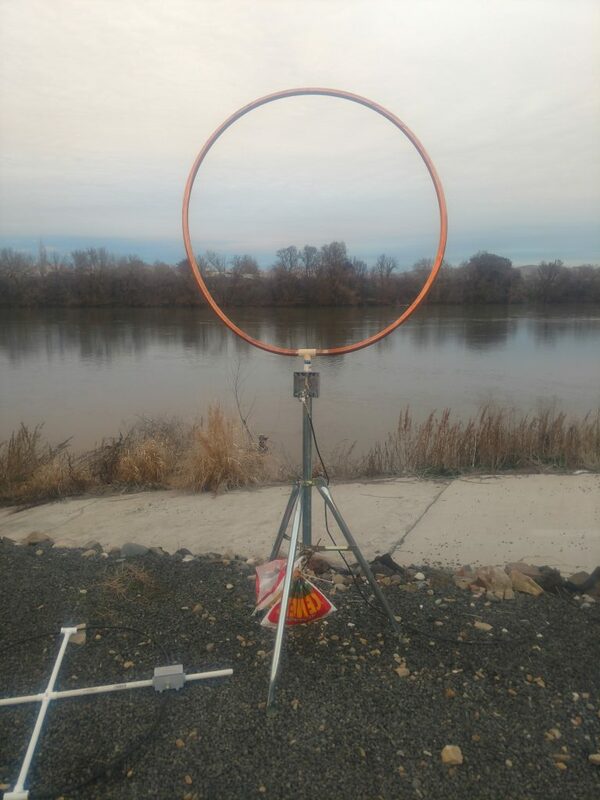 The Hiletgo LNA and the 1 meter diameter coax loop made such a nice antenna I thought it might be interesting to try another version of an active magnetic loop antenna. So I asked Bob K7RHB to help me to make the Wellgood boards and other parts for the project. We have worked on this together and having lots of fun in the process. https://www.george-smart.co.uk/projects/wellgood_loop/ ,and so this is the LNA we decided to build and try out. Unlike the Shielded Magnetic loop made for the unbalanced Hiletgo LNA, this LNA is a balanced amplifier and therefore the loop does not need a center conductor to provide the virtual balun effect to feed the LNA. Just a copper loop is all that is needed to feed this balanced amplifier. We used soft drawn 1″ copper tubing and it is easy enough to form into a loop as it is unrolled from the box it ships in. The CPVC tee is not really strong enough to support the loop in bad weather, so a center support to the top of the loop is a good idea. 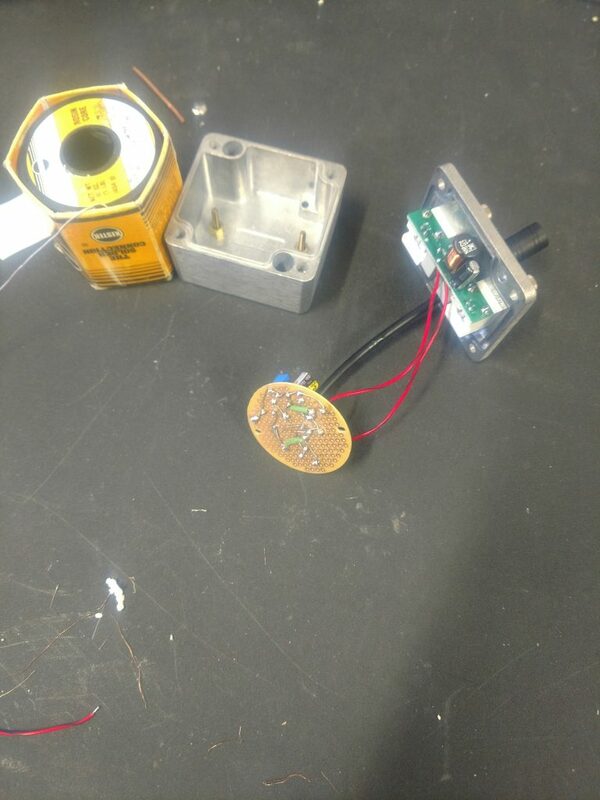 After the Wellgood LNA was assembled it seemed to work best with a voltage of 3.1 VDC. The first boards used the 2N3866 transistors and these did not exhibit the gain over voltage increase that we thought they should, so we changed them out with 2N5109 transistors. These transistors seem to operate with better noise floor and gain linearity over a voltage range. 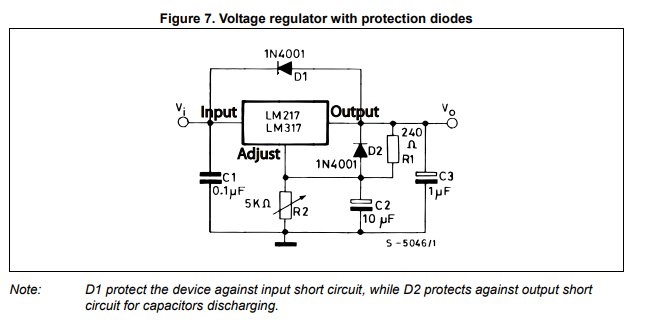 We selected 5vdc as the operating voltage for these transistors. A Bias-T printed circuit board is provided with the LNA boards so we soldered up the parts for the Bias-T and made a LM317 voltage regulator from the circuit supplied with the data sheet for that device. 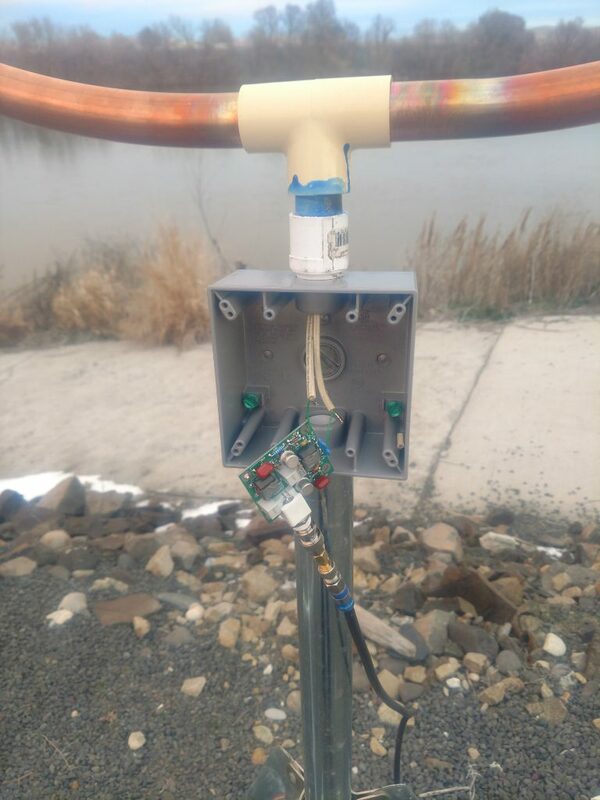 The Bias-T and LM317 board fit nicely in a small cast aluminum box and a 14vdc linear transformer wallwart provides the power to it. After making the LM317 regulator I learned that http://aliexpress.com practically gives away the LM317 regulators built out for very little cost. You just have to have a month or two to wait for it to arrive. So does it work better than the Hiletgo Shielded Magnetic Coaxial Loop? Well yes it does, but I’m not sure if that is due to the Wellgood LNA or the larger diameter loop. In order to have a good comparison I need to make a 1″ coax into a 45″ diameter loop and then take comparison readings. I suspect the loop balance with the Wellgood design will provide equal gain end to end and good nulls side to side, while the Shielded Magnetic Loop may not exhibit that excellent balance. Still, objective testing has not yet been done here to really know. 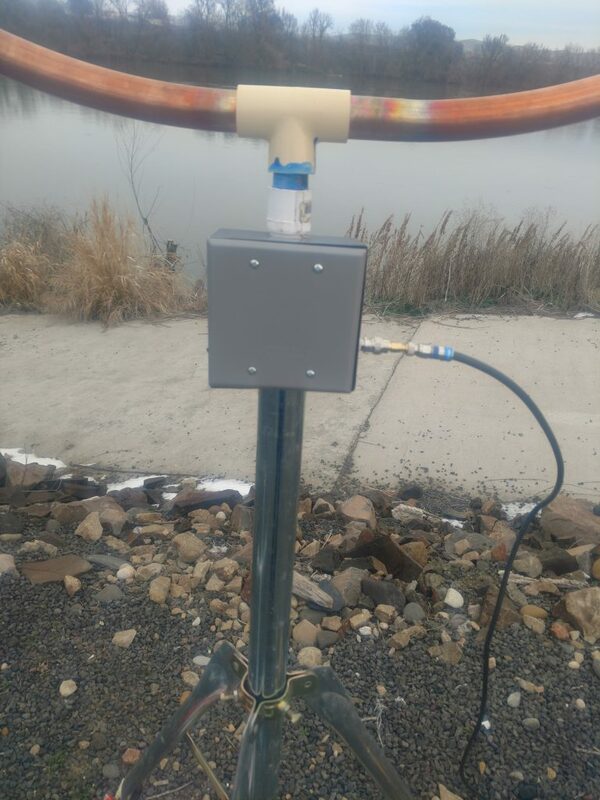 Having fun with the active loop antennas!